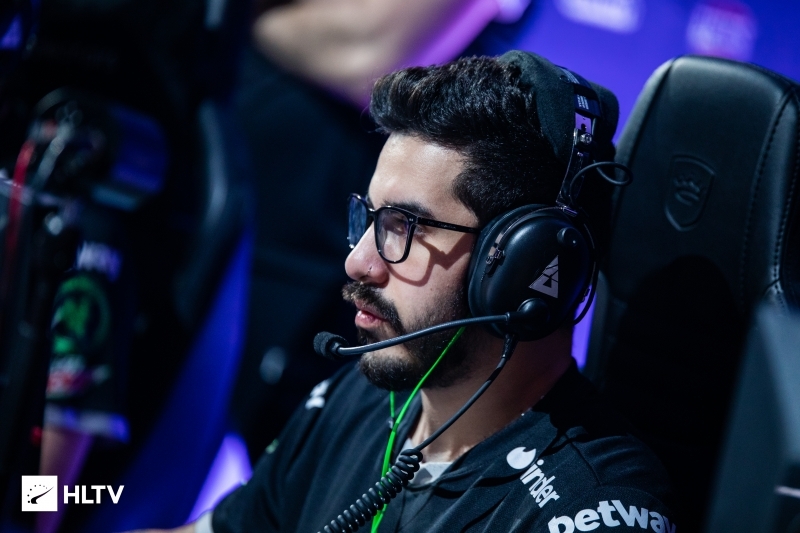 coldzera: "We are pretty confident on Nuke"
We caught up with Marcelo "coldzera" David during the media day at BLAST Pro Series São Paulo and heard about MIBR's early exit from WESG, adding Nuke to their map pool, and isolating from their family ahead of this tournament. For the second year in a row, Gabriel "FalleN" Toledo and co. left WESG disappointed, with this time a loss to Windigo in the quarter-finals cutting their run short In our interview, coldzera admitted that they underestimated their opponent, but also learned from their mistakes. The 24-year-old also touched on his relationship with Epitacio "TACO" de Melo and how cooperating with the former Liquid player enables him to play better, as well as giving insight on how the team has decided against having family and friends around for this tournament in order to focus on the game more. I'll obviously ask about WESG because that just finished, before that tournament you stayed in Europe, you had a bootcamp, so obviously, finishing 5-8th, you can't be happy with that. So my question is, back at the ELEAGUE Major before the last WESG you said something along the lines that you don't care about the Major because you are playing with a stand-in and your focus is on WESG. Did you curse yourself with that, seeing that results at the last two WESG's? (laughs) I mean, after the Major, I think it was a little bit stressful for us, we traveled to Poland to do a bootcamp and we had to do a lot of media stuff as well. We got a little bit tired and stressed out and when we traveled to China it looked like everything went wrong for us. We were really tired, we had a lot of jetlag, stressed out, the practices there were not good enough... We didn't play our best games, we played against Windigo and in our heads, we were supposed to win this match, so I think we played unrespectful. So that was not good. The matchup was good for us, though, we practiced some maps against them [previously] and it was pretty easy during them. So after that, I think people started thinking that we were going to beat them easily, we played just to play, and that was not good enough to beat them. We were in a moment during the match when the players started to get a little bit nervous because we started losing the third map and everything went wrong for us. But this tournament was good to see one thing, to never underestimate the opponent, just play our game and do our best and we are going to win. The tournament didn't have too many good teams so if we beat Windigo we were convinced we would beat G2 and play in the finals. We felt really bad losing this tournament, everyone was really sad after the loss, but in another way, it was good for us to lose because right now, in Brazil, we are focusing more and playing more CS and we are going to do our best. You don't think the result took some wind out of your sails? No (laughs), we realize we just fu**ed up this tournament. You have been playing pretty well individually, reuniting the Brazilian roster there is TACO came in, so some people credit your level to you and TACO being that duo, but also the communication went back to Portuguese-Brazilian. So what do you think was the key thing that unlocked your current level? It is not like you were bad last year, but this is more like the coldzera of old. Playing with TACO is really easy for me. When we brought in Stewie2K and tarik, it was kind of hard for me in the beginning, my English wasn't that good and it was very hard for me to understand when they spoke really fast. And they are really hard to control when playing with them. When I play with Stewie and tarik they like to move more during the round, we don't fix the setup, or we fix it, and then they move. To understand that was hard for me in the beginning, but with TACO it is really easy. We chose what we want to do, we play, he trusts me and I trust him. That how it works for us. We always create something and we always have a surprise for the opponent, so they never know which setup we have or how they need to play against us. That is the biggest impactful point during the matches. Talking about surprises, you are going to be playing Nuke here against FaZe, you played it at WESG as well but against AGO and in a match that wasn't important. You also left it in the veto against Liquid, they banned it in the end... What is going on with MIBR and Nuke? (laughs), we are pretty confident on Nuke, we played it at the bootcamp, we played Nuke in Poland, we played Nuke at WESG, we played Nuke in all the practices, we want to play Nuke more and more to get more experience, to play against everyone. Nowadays, not enough teams play Nuke so it is good to add it to your map pool. A lot of teams have a good map pool against us right now and we want to fight this. That is why we started playing Nuke again. We are pretty confident that we are playing Nuke well, we played it against Liquid a lot in US as well and I think they are kind of scared because we beat them two times during practices. It was pretty good to play against good teams to get the experience. Do you think that the map pool could be changing in the future, was that something you were considering when you added Nuke? When they bring Cobblestone back and I think they will remove Mirage because Cache is already being updated. So when they bring Cobble back, new Cache, I think it is going to be good to have Nuke because not a lot of teams are going to play Cobble. You had a couple of big tournaments in Brazil, notably ESL Pro League S4 and ESL One Belo Horizonte, but you still didn't lift a trophy here for your home crowd. Is there some pressure, that you need to do it now? Of course, we always want to win in Brazil, we had the chance at ESL Pro League but we lost to Cloud9. Right now, we are kind of in a bubble. We didn't invite girlfriends, family, stuff like that for this week. We are in the hotel, just focusing, concentrating on the tournament, practicing all day, studying the opponents, watching some games to get something new or check how teams like to play against other teams. And we are going to do our best because we want to bring this title home. At the Major as well you were kind of isolated, usually, at Majors, there would be the whole Brazilian family with you. Do you think that is something that was an issue for you guys previously? I don't think so. But everyone agreed to not bring family and girlfriends to important tournaments, we now chose just one tournament in a season at which we bring them. For this season we are going to bring them to one tournament, and that is going to be Sydney. We talked about it and everyone is going to bring them to Sydney, that is it. And in the second part of the year it is going to be the same thing. We are going to choose one tournament and it is going to be only one tournament at which we can bring family or girlfriends. It is going to be good for us, we should be a little bit more professional in those terms and just start to think about our game, try to be better and better each tournament. Cuz they are too good. words that preceeds the death "We are pretty confident on Nuke"
Lol. 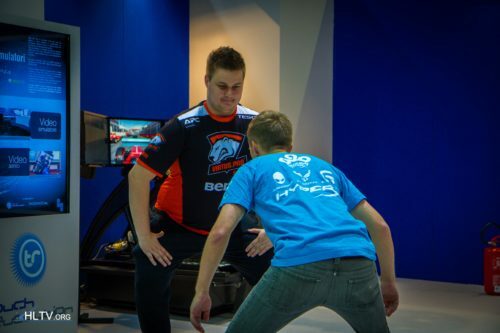 U the guy I was doing that to except with Elige ? Nice joke from C OMEGALUL ldzeras. And another from the big book of excuses... The other team beat you because they were better than you Mr.Zera. Seriously.. Its kinda pathetic.. Its EVERY time they lose a tournament. Always the excuses.. Jetlag, no monitor, lag, mouse problems blablabla..
3x BO1 in one day and they're tired. +1 hahaha Obviously they're trying to bait the opponents. OFF TOPIC : In upcoming matches on BLAST for example above each map pick there are some stars. Some has 3 stars, some has 4 and some even has 5. Do you know what does that mean? 3 stars-2x top 10 teams playing 4 stars-2x top 5 teams playing 5 stars 2x top 3 teams playing if you click on the match it shows. They want to be number 1 again so they NEED to beat Astralis the best team in the world (maybe history) on Nuke. Why would Mibr waste time on Nuke. They need to focus on maps that the top teams play Train, Mirage, Overpass, Inferno, The ONLY situation this would make sense is if they permaban Inferno from now on. So they switch Nuke for Inferno and the pool remaining the same. Apparently you didn’t read the interview. Not only MIBR..mind you ! ASTRALIS : Am i a joke to you? Hahahahaha don't win against Windigo and fells confident? Mua-haaaaaaaaaaaa! i think cold its not a baiter at game, like haters likes to say but he baited at this interview!